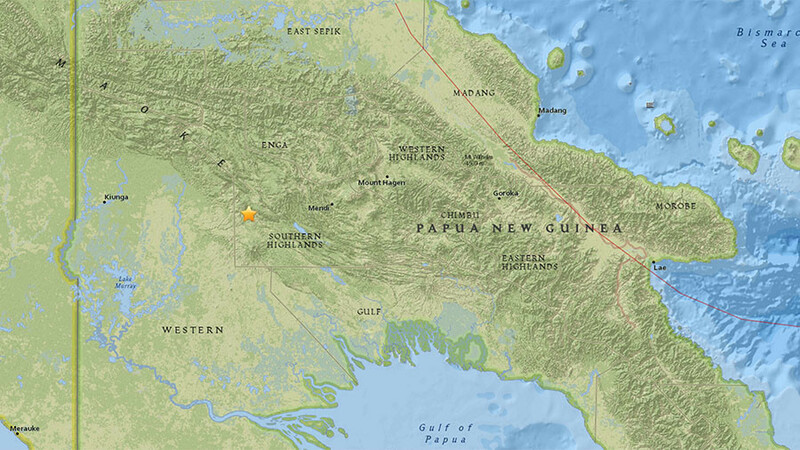 A 7.5 magnitude earthquake has struck the Pacific nation of Papua New Guinea, in the Southern Highlands near the center of the country, US Geological Survey (USGS) has reported. The quake took place at a depth of 35 kilometers, according to USGS and just 10 kilometers, according to European-Mediterranean Seismological Centre (EMSC). Its epicenter was in a mountainous region around 40 kilometers north of Mount Bosavi, an extinct volcano. It’s not yet clear what the extent of the damage is, or if there are any injuries or fatalities from this latest seismic event. 12:52 - 25 февр. 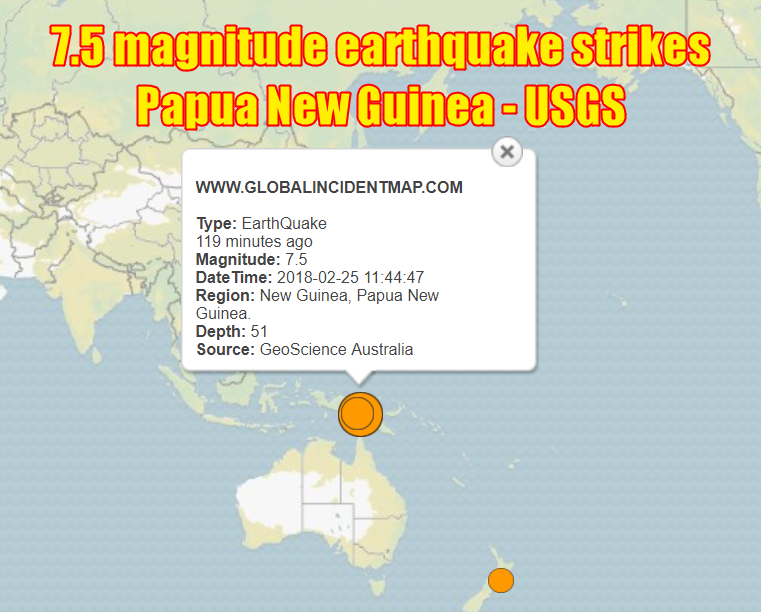 2018 г.
Papua New Guinea lies on the Ring of Fire, a notoriously seismic zone across the northern, eastern and western boundaries of the Pacific ocean. In January 2017, it suffered a 7.9 magnitude earthquake, leading to warnings of a tsunami.